“Rev It Up” has always been a team marketing slogan…and this year a happy Mark Mason has the team to match. Revolution Manager Mark Mason was seriously not kidding around when he said he wanted to get faster coming into this season. 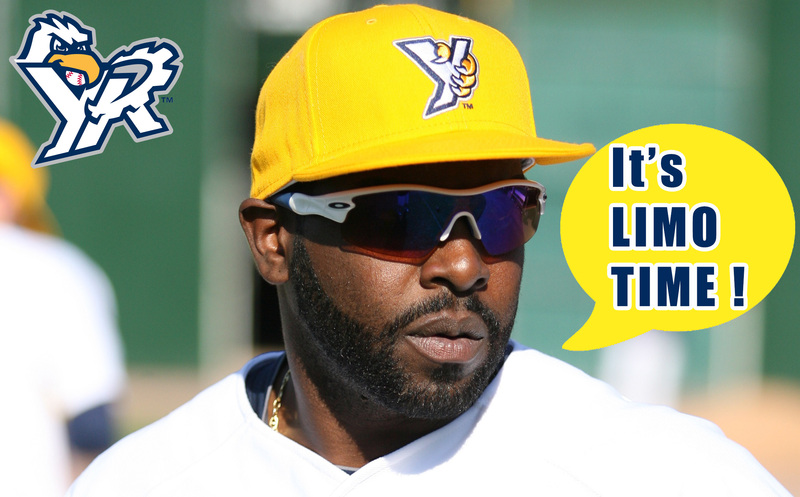 Franchise stolen base records continue to drop like flies, or Skeeters, if you will. In a 12-11 win over Somerset on August 31, York stole nine bases to shatter the previous franchise best of six, which had happened twice. The first time was on August 8, 2009 in a 10-9 home loss to Newark, and the most recent was last Sunday, a 4-1 road win at Camden on August 24. Wilson Valdez led the way with three steals, and Sean Smith, Justin Greene and Eric Patterson each had two to set the new record, which had already been broken by the sixth inning when Smith stole both of his bases and Greene stole one. 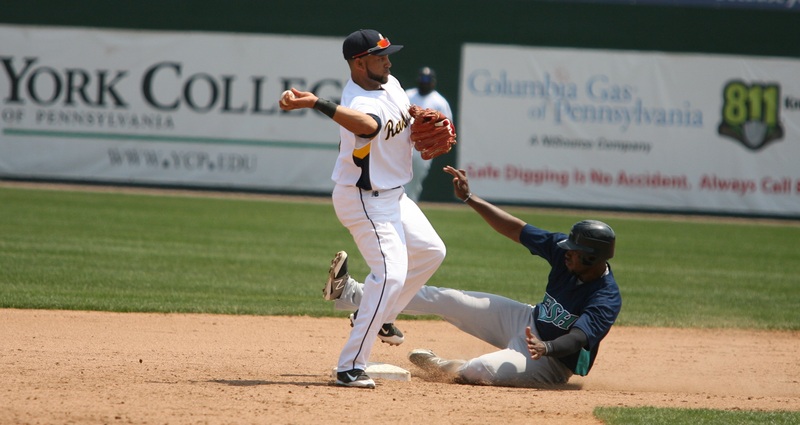 Valdez of course set a new single-season franchise steals mark this year when he eclipsed the 28 of Scott Grimes in 2010 – back on July 7 with a cool 69 games remaining in the season. 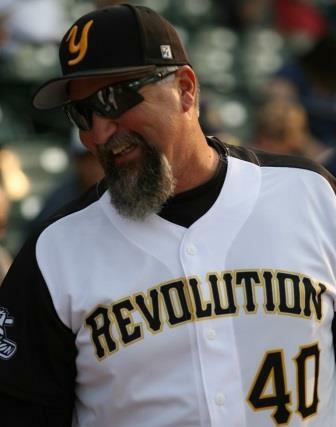 With 164 stolen bases as a team through the end of August, this year’s Revolution have blown away the team record from 2007, when the inaugural Revs stole exactly 100. That mark fell with 62 games remaining in the season. If you’re wondering if the 2014 Revolution have a chance at the all-time Atlantic League team stolen base record, they do not. In 2000 Somerset stole 265 bases, led by Billy Hall who stole a still-league record 104 on his own. However, the top three individual base-stealing efforts in Revolution history already belong to players on this year’s club, with 19 regular season games to go. Justin Greene (29), Sean Smith (34) and Wilson Valdez (47) have all eclipsed the previously tepid record of 28 by Grimes. It’s interesting Wilson Valdez will begins Labor Day with 47 steals, as that was the total number of stolen bases for the Revolution in all of 2013. And yes, you read that correctly. By the end of the season, the top four individual steals efforts in Revolution history will likely be with members of this club, as Eric Patterson has 23 steals through 121 games. At 164, York enjoyed a 57-steal lead on Long Island for tops in the Atlantic League through August 31. They’ve attempted 200 times, for an 82% success rate. After sustaining a separated shoulder in a collision a month ago, Revolution catcher Salvador Paniagua has not seen any game action since. He was reinstated to the active roster on August 31 however, within the four to six week prognosis following the injury. Early in his return, the plan is to catch Paniagua three innings at a time or so, to gauge how his shoulder holds up and to ease him back into every day action. Back-up Alberto Espinosa and newcomer Angel Flores, who are both still on the active roster, filled in admirably for Paniagua over the last 30 days. At this time, a move is not being made at that position and York will carry three catchers for the time being. With RHP Stephen Penney currently inactive with lingering shoulder soreness, a roster spot was open for Paniagua. 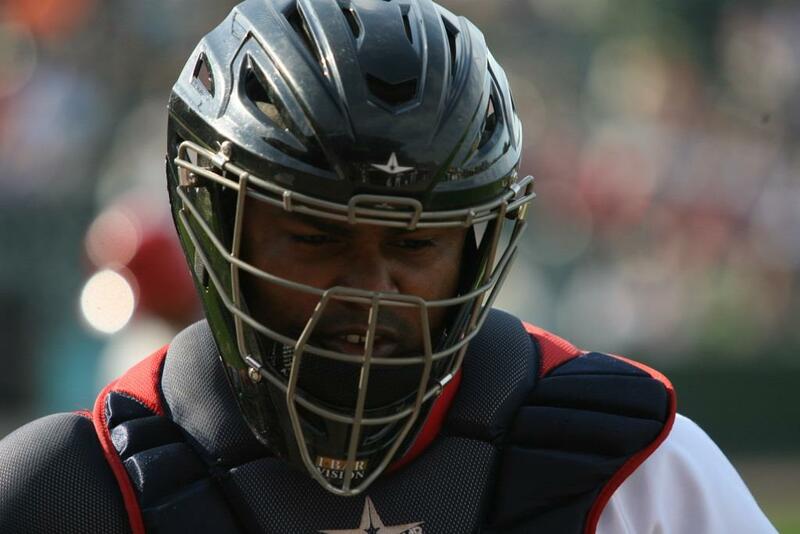 Whether the Revolution drops a catcher heading into the postseason remains to be seen. 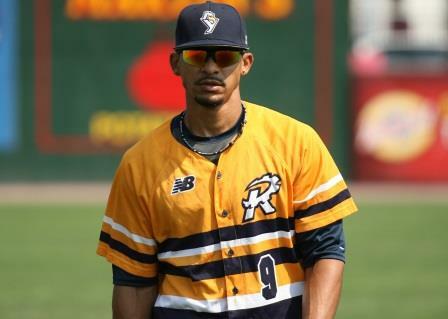 OF/1B Johan Limonta has returned to the York Revolution for the remainder of the regular season and playoffs, now that the Mexican League season has concluded. To make room for Limonta on the roster, reserve catcher Steve Sulcoski has been released. Limonta’s Atlantic League contract was purchased by Piratas de Campeche on July 11. While Limonta had the opportunity to depart for a lucrative deal in Mexico earlier in the season, he declined, as it was his desire to help York win a first half division title before going anywhere. The Revs did just that, clinching with a day to go on July 5, a 2-0 win at Lancaster. Limonta stayed true to his word that he would return to York as well. His father continued to attend Revolution home games even after Limonta had joined his Mexican League club. Before going to Mexico, Limonta batted .295 with seven home runs and 49 RBI in in 71 games this season. With Campeche, he kept up the good work, hitting .305 with six homers and 15 RBI in 27 games, helping the Piratas from under .500 when he arrived into a playoff spot. After nearly eight complete seasons, our long national nightmare is over. The York Revolution finally have an inside-the-park home run. In a 2-2 game in the bottom of the sixth on August 20, Tim Battle scored himself, Chad Tracy and Travis Garcia when he snuck a hard line drive past Lancaster center fielder Blake Gailen and the ball rolled all the way to the batter’s eye. As far as inside the park homers go, the three-run variety is pretty good. York eventually won the game 6-5 to finish with a 13-7 mark over the Barnstormers in the regular season. It’s their second-best War Of The Roses record, behind the 16-4 thumping of the Stormers in 2010. Battle’s liner was also the first inside-the-park home run at Santander Stadium. Twice before the Revolution had allowed one on the road. When Ofilio Castro had to be pinch-run for late in the 4-2 home win over Bridgeport on August 15, it turned out to be the last time the infielder would play this season. While nothing looked too serious on the field, it turns out Castro has a torn meniscus and will undergo surgery. His season ends with a .247 average, two home runs and 38 RBI in 95 games. After Rommie Lewis left for Taiwan a day later, this puts the active roster two short at 23 players. Johan Limonta will be back with the club as the Mexican League season winds down, so position-player wise, things should be fine. Castro’s injury means Eric Patterson will man second base the rest of the season, with Bryant Nelson there on days Patterson is in left field. The search is currently on for another relief pitcher however. Despite the growing list of season-ending injures for York; RHP Matt Neil, RHP Michael Wuertz, OF Jason Repko and Castro, and catcher Salvador Paniagua still a couple weeks from returning from a separated shoulder, the Revolution’s record as of August 18 stood at 62-45, a season-high 17 games over .500. 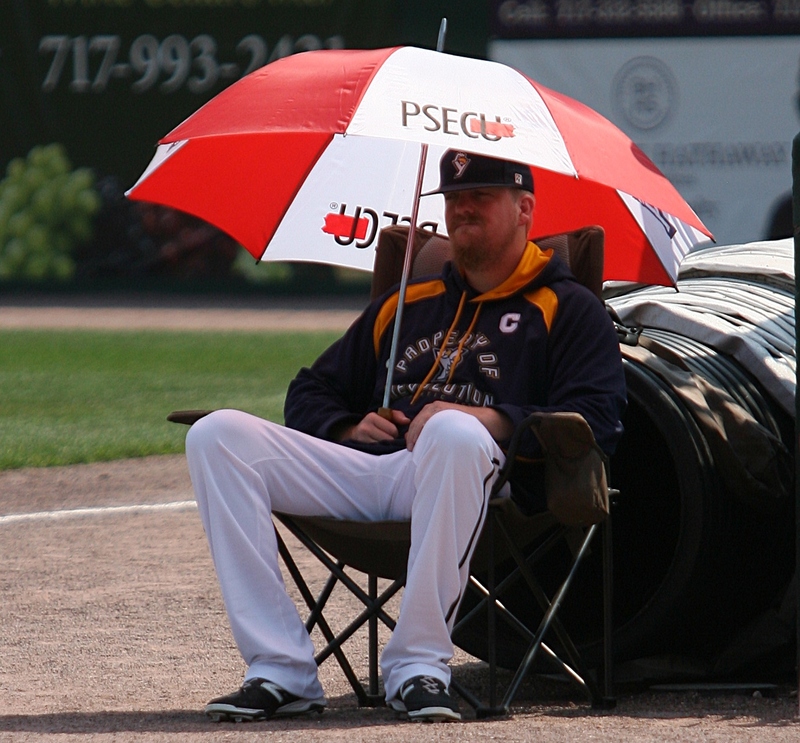 Rommie Lewis: A bullpen life. It’s always a risk that a top Atlantic League arm may be offered a lucrative foreign contract in-season. The Revolution already lost starter Chris Cody earlier this year to the Brother Elephants of the Chinese Professional Baseball League on the island of Taiwan. Now, the contract of closer Rommie Lewis has been purchased by the EDA Rhinos, also of the CPBL. Last season, Lewis also left York for Taiwan, but was with the Revolution until August 28 before joining the Lamigo Monkeys. Teams in the CPBL are allowed just three non-Taiwanese players per team, with no guarantee all three will be American. Cody and Lewis now make up a good percentage of the English-speaking players in the league. With the regular season in Taiwan lasting through the fall into November, there is virtually no chance Lewis will be able to return to York for the Atlantic League playoffs. It’s a blow to the Revolution bullpen for sure – Lewis saved his 28th game of the season on August 15 in his final appearance with the club before departing, which now stands as the single-season franchise record. Lewis is also the Revolution’s all-time saves leader. The York Revolution has announced the addition of Baltimore Orioles great Scott McGregor to the lineup for “Orioles Pride Night” on Friday, August 29 against the Somerset Patriots at 6:30 p.m. The night was previously announced and includes deep discounts on tickets based on Oriole retired numbers, several Orioles-themed prize giveaways including tickets to Derek Jeter’s final game in Baltimore on September 14, items autographed by Brooks Robinson and Cal Ripken and O’s apparel including an adult Manny Machado jersey. Please CLICK HERE for full details. The night includes a watch party in the White Rose Hall on the MINI of Baltimore Skybox Level for the Orioles game against the Minnesota Twins; a $10 ticket with a cash bar for patrons 21 and over. 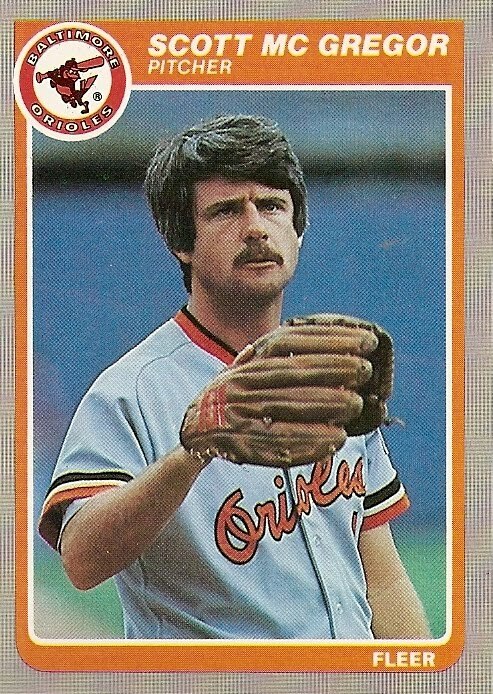 McGregor has been added to the watch party, and fans taking advantage will be able to chat with him as they watch both the Revolution and O’s game, get autographs and hang out with the 1983 World Series Champion until the conclusion of the Orioles game which begins at 7:05. Fans already holding tickets to the August 29 game may upgrade their ticket to the Orioles watch party with Scott McGregor for just $5. The watch party upstairs will be the only opportunity to rub elbows with McGregor. Fans upstairs in the White Rose Hall may still visit concession stands on the lower concourse and enter the Orioles prize raffle giveaways while they are at the ballpark.